Mountain Equipment Co-op (MEC) has built a reputation for providing Canadians with quality outdoor gear. It also has a reputation for keeping environmental sustainability top-of- mind. MEC’s products reflect the company goal of protecting the natural playground enjoyed by its customers. Consequently, the company’s operations reflect this commitment. This includes its new 21,000-square-foot green retail building in North Vancouver, British Columbia. With green building goals at the center of the project, reducing energy use was critical. But, MEC had another, more ambitious goal. The company wanted to meet the stringent LEED® Gold standard. It’s why MEC selected the Insulspan® Structural Insulated Panel (SIP) System for its headquarters’ walls and roof. Insulspan SIPs enclosed the building with rigid closed-cell foam plastic insulation and a complete air barrier. This greatly reduced heating and cooling needs. MEC estimates the building will use 45% less energy than a code-built retail facility. 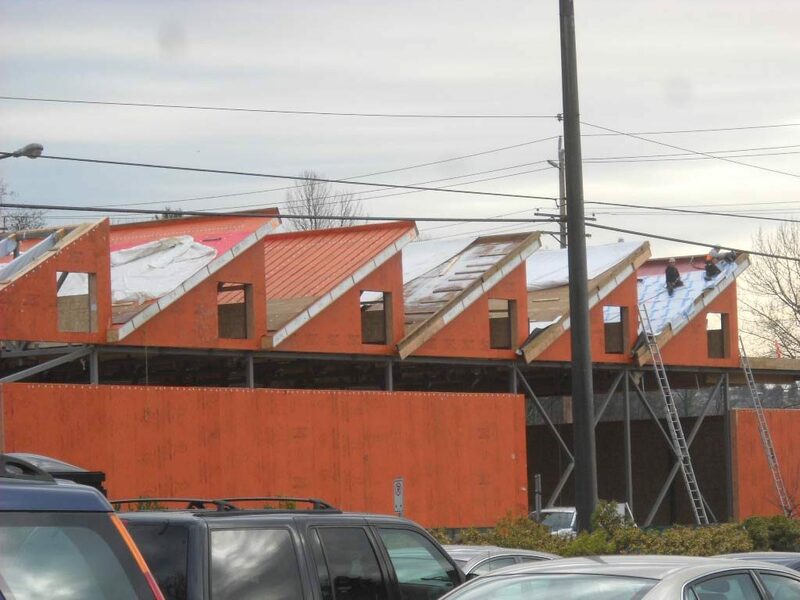 “Insulspan’s structural insulated panels met several key objectives: they provide a high performance airtight wall assembly that can be erected relatively fast and, at the end of the building’s life, disassembled in large pieces,” Treagus added. Several other energy efficient elements contribute to the building’s amazing performance. For example, clerestory windows in the building’s distinctive sawtooth roof disperse natural light over the retail floor. Daylighting and occupancy sensors dim the electric lights when not in use. Further, an innovative radiant heating and cooling system circulates hot or cold water through the building’s concrete slab. And, the system is based on predictive controls that adjust for the weather forecast. These high tech features also blend with native landscaping and onsite stormwater management. Finally, the building’s site seamlessly integrates with the adjacent trails of Lynnmouth Park.